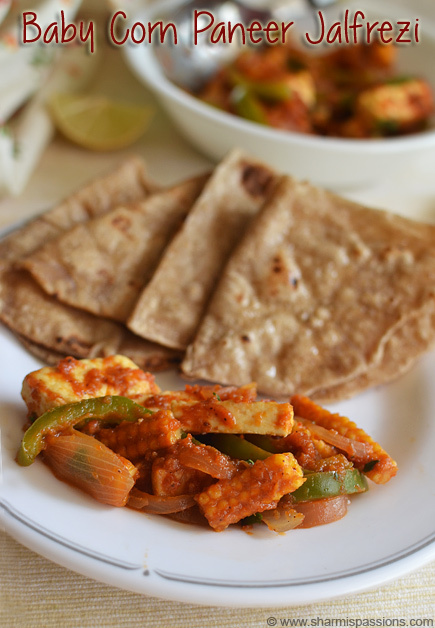 Baby Corn Jalfrezi with Paneer makes a perfect stuffing for kathi roll or serves as a great sidedish with rice and dal or with simple veg pulao. 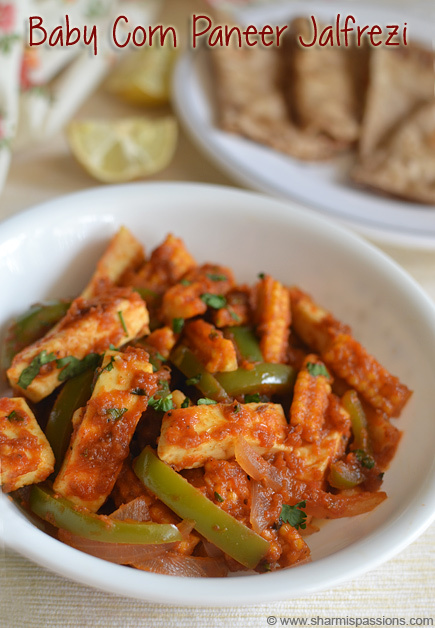 I love such simple flavourful combos…I have tried paneer jalfrezi with carrot and capsicum long back.I was sure this would be sure shot hit at home as both paneer and baby corn are our favourites so thought to try it right away after seeing it in a north indian cookbook. You can try jalfezi with any vegetables of your choice and name it vegetable jalfrezi 🙂 .You can make vegetable jalfrezi/ paneer jalfrezi / chicken jalfrezi just modify according to your liking.According to Wikipedia, Jalfrezi is a type of curry which involves frying marinated pieces of chicken or any meat or vegetables in oil and spices to produce a dry, thick sauce. Jalfrezi is great as stuffing for kathi roll or frankie….I served with soft phulkas for hubby and I had it as stuffing for frankie.You can even use readymade wraps, stuff it with jalfrezi then warm up and serve it, works great for on the go breakfast / snacky. In a pan heat oil – add jeera let it crackle then add ginger garlic paste and onion fry till slightly browned then add tomato puree along with red chilli powder,corainder,garam masala and jeera powders mix well.Let it cook in low flame till raw smell of tomatoes leave. 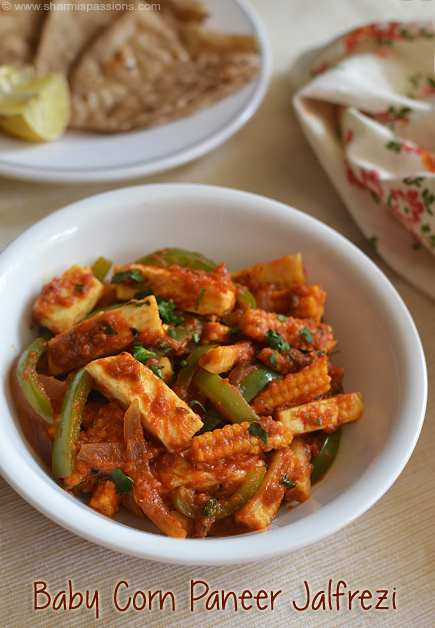 Then add babycorn,required salt and add 1/2 cup water and let it boil till baby corn turns soft(not mushy, it should be cooked yet crunchy enough to bite).Then add capsicum along with tomato sauce.Give a quick mix. Finally add paneer, give a mix and let it cook for 2mins for the masalas to blend well.Then garnish with coriander leaves,kasoori methi , stir once and switch off. 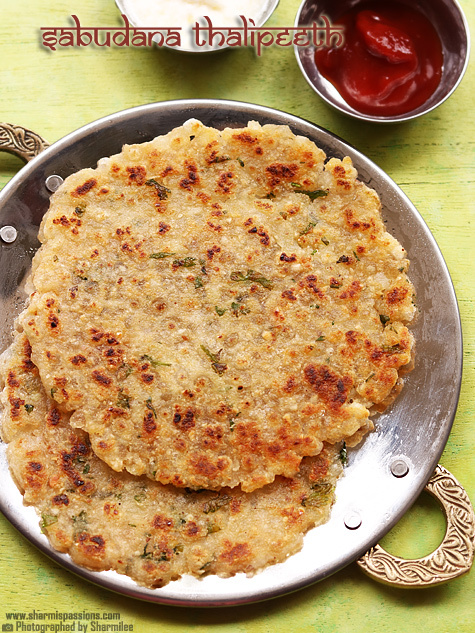 Serve hot / warm with roti or pulao or rice. The vegetables need to be crunchy so don’t over cook. As my tomato sauce was slightly sweet, I didn’t add any sugar.You can add a pinch of sugar while adding tomato sauce for a sweet tangy taste. You can add color capsicum to make the jalfrezi more colorful. You can make thin phulkas and stuff it with jalfrezi and roll it like frankie. You can add carrots or any other veggie of your choice.Or add chicken pieces too. Adjust quantity of water according to the consistency of the curry. I am thoroughly enjoying following your blog. I have to admit it has taken me a while to get used to the terminology, and have had to Google many words to figure out what you were talking about. But I'm getting the hang of it all now. I don't have access to a few of the ingredients in the recipes so I'll have to find a source before giving some of the recipes a try. But I sure can't wait. They all look so delicious. Thanks for the great tutorials with photos. They are really helpful. Adding Whole Corn is nice Addition to routine Paneer Jalfrezi! Congrats sharmi,so happy for u.all the best for ur future.hats off to ur incredible dedication to cooking.ur website has become my daily source for cooking.today did ur aarachuvitta sambar I was in cloud 9.taste was really awesome.tomorrow going to do ur channa biriyani.waiting to taste it. Thank you Sharmi,,,, I tried this, came out very well. I used colour capsicums red, yellow & green. It was so tasty and so colourful. Thank you so much for such a nice different one. 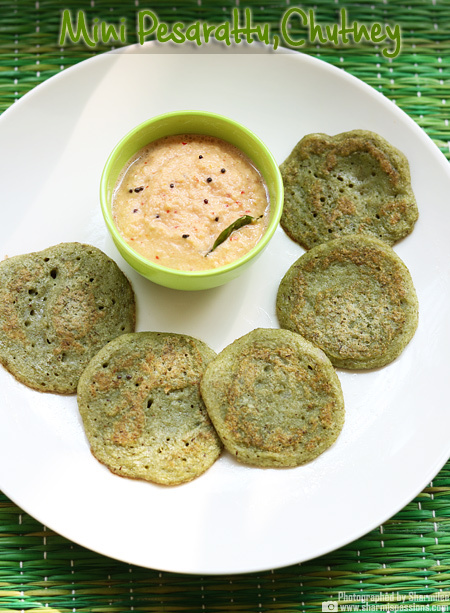 I always do most of the southindian items, take time to do other types. But you and your photos makes me to try everything its tempting and very easily explained step by step and your tips are very very useful. Today I tried your idli milaga podi with garlic – no words to explain the taste. I use to wonder how garlic taste is coming so nicely in store bought podi. 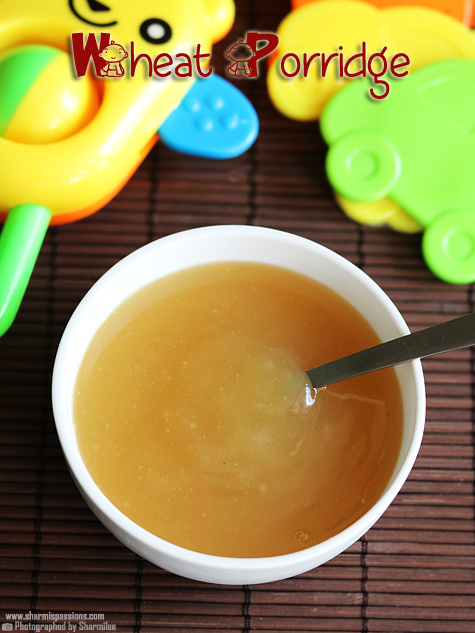 Today first time I made and tasted homemade garlic taste in podi… me and my daughter loved it so much. The colour also came out so nicely like your photograph. Today World Photograph Day… Hope you celebrated it with taking lots of photos…. Thank you once again. Sharmi you are my Annapoorani – Annalakshmi Google to me. 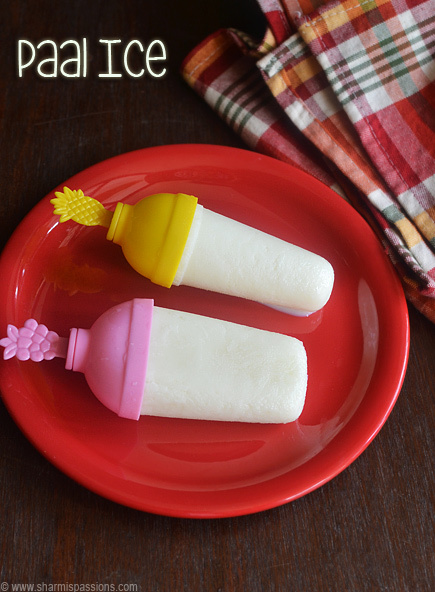 If I think our some new food item, my daughter immediately open your website. Both of us everyday competition is to check your blog for new items. Now a days I am able to plan a whole week food with your help. This helps me to buy vegetables and my morning are tension free. Able to make a good menu. Daughter and Husband brings empty lunch boxes. Really You are helping me in so many ways. Your photographs speaks to me, it shows the correct padam(texture), colour, etc… Hope to see your daughter's birthday cake soon. Hi Sharmi, i tried baby corn paneer jalfrezi yesterday. it was a stupendous success. My kids loved it. Had a restraunt like dinner yesterday. Thank you for the recipe. 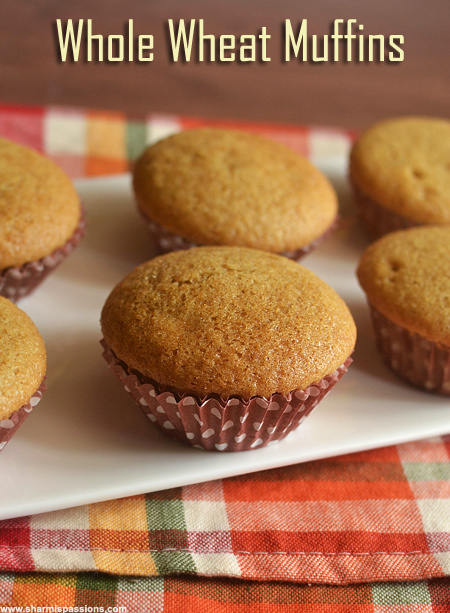 hi Shrmi could you also help me in adjusting the recipes' quantity generally for more people. my dishes taste good for small quantity, if i have to make the same recipe for 10 memebers its not so good. Whats the trick? 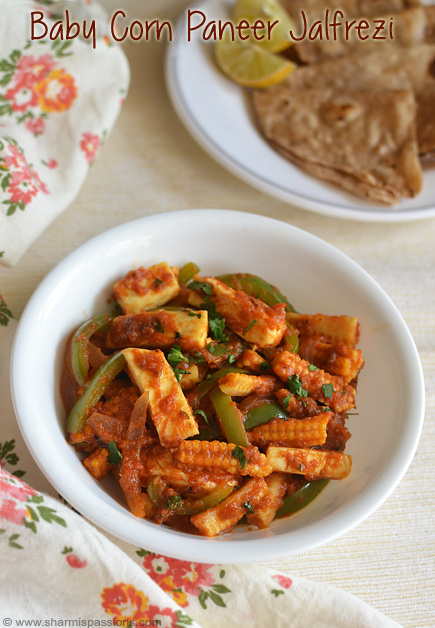 Use 3 packs of babycorn and paneer,tomato puree from 6 tomatoes, you can adjust the spices accordingly.